Steel is a superb construction material for your next construction project but persistent steel building myths dissuade some potential customers. Don’t allow any falsehood lead you to make the wrong decision. Steel as a building material is increasing becoming popular. However, there are just some steel buildings myths that you have probably heard from someone else that may cause you to re-evaluate your decision to use steel in their next construction project. Before turning your back, however, it is advisable that you check the facts. You would not want to miss the best construction material for your next project because of misinformation, would you? 1. They are wobbly, feeble and cheap. 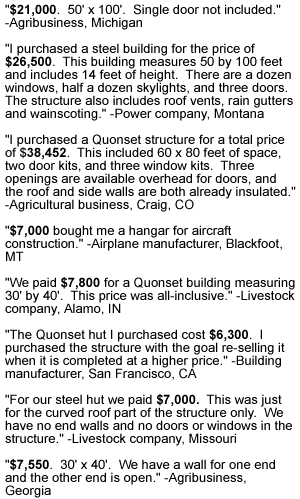 When you say ‘cheap’ and you mean steel buildings are cost-effective, you’re absolutely right. 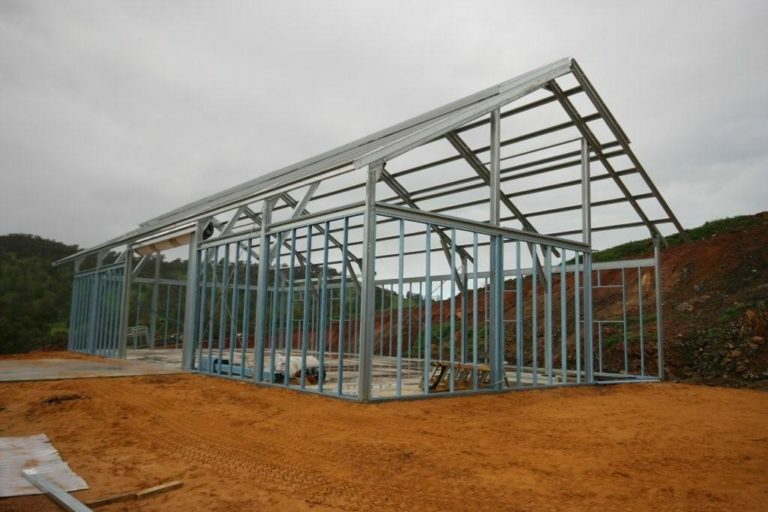 Since they are made out of strong materials, you can save more money in owning steel buildings than other conventional building methods since they are durable and long lasting. They are able to withstand natural forces such as strong heavy winds, rain, snow, and even earthquakes. Contrary to stone, concrete or wood, steel is so strong that while it can take a beating it never loses its luster. To be honest, steel buildings may cost higher than other construction materials. But that is only on the upfront. As explained above while it may be expensive initially, owners could save a lot of money in the long run as they require negligible zero to low maintenance. There’s not even a need for regular repair and repainting for a properly designed steel building. Moreover, upgrading a steel building cost less, thanks to its flexibility. 2. They are not energy-efficient. Because of its thin metal sheets, it is easy for some to perceive that steel buildings would allow heat or air to seep out. On the contrary, they are pre-engineered in such a way that they keep air from flowing into or out making it easier to manage temperature. Moreover, with an extra paint applied on, steel is able to absorb or reflect heat. This makes steel building not only energy efficient but also a cost-effective mean to keep cool during summer and warm in winter seasons. It also helps if the steel buildings’ roof and walls are properly insulated as it will prevent thermal transfers during the wintertime. The roof of steel buildings during the summertime, meanwhile, sends the incoming heat away. Thanks to its inherent reflective capacity, the sun’s rays bounce back into the sky. 3. They are noisy. From just the thought of heavy rain hitting the metal sheets, we can’t blame some to easily conclude that this type of structure is loud. Compared to other steel building myths, this is partially true. However, many modern steel buildings are now prefabricated to reduce the noise. You’d be surprised to find that some could be even subtle than an asphalt roof, especially when they are properly insulated. An insulation could block outside noise so they could not enter the building. Moreover, it cuts down on internal noise as it acts like a damper which reduces echoes and hence minimizes the volume. Consequently, steel buildings could be so quiet that even a continuous rattling sound of thunderstorm debris or hail can be largely muted. 4. They rust. This can be an obvious fact but just like with noise, modern steel buildings are pre-engineered to avoid rusting. 5. They all look the same. There was a certain period when metal buildings were all box type and hence were unattractive. For some, an image of a dilapidated and degenerated industrial building will probably come to their minds when talking about steel buildings. But thanks to innovative technologies, steel buildings nowadays can be customized just the way you want them to be. There is no reason that your structure will look like somebody else’s. The styles and color options are wide ranging so you can easily find the type of structure that will best reflect your personality or the business that you are doing. In fact, steel is amongst the most flexible and versatile construction materials available. They are often constructed in conjunction with other materials like stone, split-face block. Hence, they can look visually amazing and appealing. Furthermore, steel buildings can be easily modified for future expansion plans. Doing alterations are a lot faster and easier with steel buildings than other construction materials such as wood, stone or concrete. This makes them an excellent choice for growing businesses as it enables for fast integration of new building with the existing structure. 6. They melt too easily. This is amongst steel building myths that do not make sense and it is uncertain where it is coming from. The melting point of a steel is around 2,500 degrees Fahrenheit, meaning that not even an intense sunlight or wildfire can ever put down a steel building. Steel buildings can endure high heat stress. Concrete will start to be broken into pieces and window glass will flow like liquid long before steel melt. Do not let unwarranted steel building myths dissuade you from buying a steel building. Steel buildings are beautiful, flexible, strong, energy efficient and offer you huge savings from low maintenance costs in the long run. Before allowing any myth about steel building cause you to turn your back and make the wrong decision, do your homework first. The steel building myths discussed above that won’t just disappear even in modern days can cause a considerable wariness in other potential customers. Those who take a fair effort, however, to study what steel buildings are all about are amazed by the quality, versatility, and flexibility that they offer. Not to mention, a prefabricated steel building can be shipped to almost anywhere. 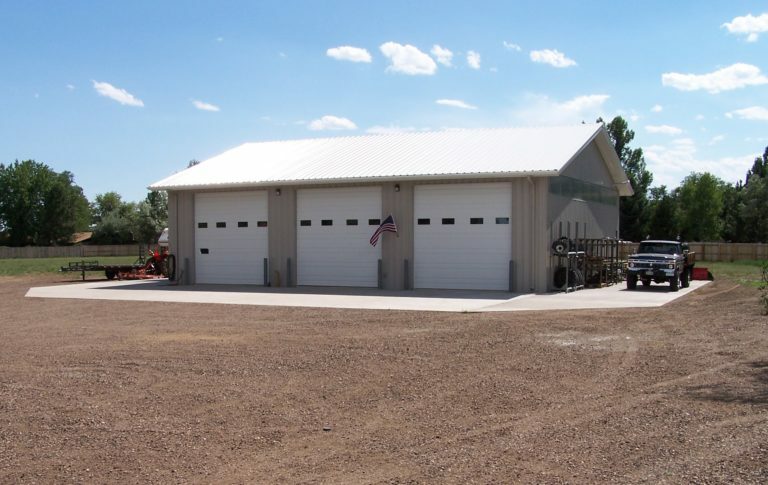 Since they can be constructed on the job site, steel buildings can be a practical solution for distant locations that may be challenging for other construction methods.